Was returning home from Christmas at the finca and driving along the N340 motorway when I had the shock of my life. I could hardly believe my eyes when I spotted a car in front travelling at around 120 kilometres per hour with a woman clinging onto the bonnet for dear life! Maybe I had had a glass too many of that cava after all! As far as I could make out, the car’s driver was swerving abruptly from one side to the other as if he was trying to throw the woman off. At this point, police who’d clearly been patrolling nearby suddenly appeared and made chase but the driver failed to stop and abruptly turned right up a route with more twists and bends - with the woman still clinging onto the windscreen wipers! With the help, now, of another patrol car, I could just make out in the distance the police managing to block the vehicle’s path. I later read in the local press that the woman, a 31 year old Brazilian, told officers that the driver, her boyfriend, had tried to kill her. And that she’d climbed onto the bonnet when he had attempted to run her over. The driver, a 34 year old Spaniard, was arrested for attempted murder. Their family home is a large country house or finca set amid orange groves outside Gaucin, one of the many attractive pueblos blancos or whitewashed villages in the hills far inland from the coast - large enough for the extended family comprising parents, siblings, grandparents and grandchildren. Quite a household! The house will be traditionally decorated with a real fir tree complete with baubles and tinsel but no Christmas cards. (The Spanish don’t do cards; when face-to-face contact isn’t possible, they prefer to exchange greetings by phone - even email.) Pride of place will go instead to the belén or nativity scene, a lovingly preserved family heirloom. This is spread out on a table in the living room and, instead of opening pages on an Advent calendar each day as is the custom in countries like Germany, the grandchildren will move the figures of the los Reyes Magos closer and closer to the stable. The most important meal of our Spanish Christmas will be the one served on Christmas Eve when we’ll sit down with the rest of the extended family to eat our way through a gigantic meal lasting several hours. Though the main dish may vary elsewhere - turkey, lamb or fish - here it is always the same: suckling pig. We’ll also be offered a lot of shellfish! For dessert, there’ll be several varieties of turrón, Spanish-style nougat. In fact, turrón will be everywhere in the house - all washed down by litre after litre of cava, Spanish champagne. A very traditional Spanish Christmas. In recent posts, I have described my continuing sense of unease at the degree of corruption still prevalent in Spain - particularly in Andalucia. And my doubts were in no way alleviated by what I read in the local papers today about the latest fraud to be uncovered in the region. Spain's most spectacular tourist landmark and one of my favourite destinations, the legendary Alhambra fortress in Granada, has been defrauded of €8m by a ticket scam, allegedly operated by its staff, travel agencies, a tour guide and a branch of the BBVA bank, according to a recently released report. Up to 50 people are implicated in the swindle involving 800,000 faked or unauthorised entry tickets handed out over three years in a process described by criminal investigators as "anarchic and uncontrollable" reportedly plunging the institution into a crisis bordering on bankruptcy. The Alhambra, the medieval symbol of Muslim rule in Spain with its stunning architecture and hilltop setting, is visited by an estimated three million people every year. However, the report ordered by Granada's court in 2006 – after the ticket office supervisor told governors he suspected something was amiss – estimates that between 2002 and 2005 tens of thousands of people gained irregular access to the Alhambra’s filigree-arched chambers, water gardens and pleasure courts. Doorkeepers apparently let people in at random, "without tickets, with used tickets, with tickets for times different from that marked, even on days different from that stated on the ticket," investigators found. Compared with the $50 billion Madoff fraud revealed in the USA at the weekend, the €8m Alhambra scam is trivial. Yet, considering that Andalucia has one of the lowest average wage-rates in all Spain, it nevertheless represents wealth on an unimaginable scale, literally a small fortune, to the perpetrators. The prime suspect in the so-called Malaya case, Juan Antonio Roca, was back in court this week to answer charges in yet another case of misappropriation of public funds. Marbella Town Hall’s former planning officer is accused of paying lawyer and former Sevilla Football Club chairman José María del Nido 80,000 euros. Del Nido allegedly received up to 3.1 million euros of public money between the years 2000 and 2001, and Judge Ricardo Puyol estimates that between 1999 and 2003 the total of payments made reached 6.7 million euros. However, Roca claimed that the payments had been ordered and approved by the Mayor’s office and had passed all the necessary municipal inspections. The lawyer normally representing Roca, José Aníbal Álvarez, has refused to defend his client in this new corruption case. He claims that his office is already "overwhelmed" with work from the fifty seven cases against Roca, including Malaya, it is already dealing with. Álvarez previously refused to defend Roca in another case (Saqueo) but that time he "claimed" it was because he hadn’t been paid. Fifty seven cases against Roca alone - and counting… ! Is it any wonder that I, and many others besides, despair at ridding Andalucia of corruption on such a scale anytime soon? Had words with P - again - about my continuing unease about living in Spain and yearning for the relative decency of the UK (not to mention family and friends). Specifically about the corruption which seems unremitting here. Apart from the never-ending trials involving Roca and his ilk like Barrientos, Julían Munoz etc etc, you hear stories all the time about the more petty, unpublicised instances of graft still going on. A lawyer friend of ours comes into contact with this unseen side more than most. He routinely regales us with cases he comes across in the course of his work. Like the one he’s currently dealing with involving a café owner who's had to pay a series of local inspectors numerous bribes simply to get the necessary licence to open his business. Or another, in which a property developer is suing his builder accused of bribing a quantity surveyor to certify the construction of a swimming pool which subsequently collapsed. All these cases in and of themselves might seem mildly amusing, trivial even but there is a darker side - as our friend reminded us. Corruption in Spain - as in a number of Southern Mediterranean countries - is quite endemic and ingrained. And will take at least another generation to disappear. During the boom years of the last decade, Southern Spain in particular saw extraordinary wealth flow into the region with the influx of Arabs, North Europeans and, currently, Russian and East European mafias. And wherever wealth pops up, graft isn’t far behind. And thus, as outrageous bribes have routinely been seen to be taken by senior staff in town halls, it’s hardly unsurprising that those lower down the pecking order have followed suit with more modest backhanders and other swindles. And so it goes on. And will continue unless today’s youth finally learns the lesson from the tsunami of corruption trials currently flowing through the courts - that crime doesn’t pay. Yesterday Jesús was fuming in class - again. Spread out in front of him was a clutch of local newspapers on which his gaze was riveted. We’d come prepared to talk about the pros and cons of the mass media in general but Jesús seemingly only had eyes for the print media. What especially incensed him, he explained eventually, was the news item on page one of all the papers depicting the release from prison on €150,000 bail of the smiling former Estepona mayor, Antonio Barrientos, and three other suspects in the so-called Astapa property corruption case. It was then we remembered that it was in Estepona that Jesús, himself, was the victim of an off-plan property swindle with no apartment to show for all his early-stage payments. "Just read what he - Antonio Barrientos - says to reporters when he’s released," fumed Jesús pointing to all the lead articles. "Let’s discuss this in class today - it’s far more relevant and topical." None of us could disagree with that as we each grabbed a paper and started reading Barrientos's inspirational thoughts. "This is an emotional moment for me. Men can’t be men if they are not free. I have a feeling of inner peace and a clear conscience, which is my greatest asset. I have always worked in the interests of the town as mayor and I hope that the case against me will be cleared up once and for all." Barrientos, Jesús reminded us, had been in prison for six months and is accused of bribery, money laundering and misappropriation of public funds in the Astapa scandal uncovered in June. The investigating judge Isabel Conejo considered him to be the brains behind the corruption at the Town Hall, which involved "obtaining funds from businesspeople and developers to finance both public and private projects". It was Barrientos’s final words to reporters, however, that stuck in Jesús’s throat. "A lot of decent, honest people have been implicated unfairly", the former mayor commented. "Yes, and I’m one of them…" responded Jesús. On the way back from the funeral neither of us spoke until, as we approached a supermarket on the edge of a town, Sra N. suddenly became animated and asked me to stop as she’d just remembered she’d run out of Lola’s favourite biscuits and a couple of other groceries. When she emerged 15 minutes later, she looked more downhearted than ever. "Just look at this," she exclaimed, brandishing a jar of instant coffee in her shaking hand. It was the supermarket’s marca blanca or own brand. "You know, before Juan Antonio and I always had Bonka. Good Bonka." "But, you know," she continued by way of explanation, "with Spain now in recession I have to watch every euro. I love my Helmann’s mayonesa and Tropicana pomelo (grapefruit juice) but now I’m forced to look only for marcas blancas. For Lola’s favourite biscuits too. It’s so sad." Intrigued, I had a look at some Spanish newspapers as soon as I got home. Sales of Spanish supermarkets’ own brand products, I read, are up 33% on last year. And overall, discounted products (including own brands) accounted for 17.6% of spend on food and drink in the first half of 2008 compared with 16.1% for the same period last year. This time, though, I really couldn’t help feeling sympathy for her when at last she told me her news - her elder sister had just died and she wondered if I’d accompany her to the funeral. She’s feeling especially vulnerable at the moment not only because of her family’s extreme animosity towards JA but also their utter contempt for any plans she might still harbour to marry him. So a lift from one of them, not to mention JA, was clearly out of the question. I’ve never attended a funeral in Spain before but remember reading somewhere that it’s important to find out straightaway where the family has congregated and when the funeral is to be held, because it’s likely to be very soon. So I lost no time getting on the phone to Sr Noriega’s daughter whom I’d met earlier at the wedding. The funeral was, in fact, the following day in a small inland village. Since I was unfamiliar with the location, we arrived at the church really early and found those closest to the deceased, or to members of the family of the deceased, had already spent some time there commiserating with the family, some of whom had been up all night. After many tearful embraces, we at last entered the church for Mass. What seemed a bit odd to me though was the fact that only a few attended the service and they were mainly women. When we later followed the coffin out of the church, however, we found all the men from the village waiting outside to shake hands with Senora Noriega and other family members and offer their condolences. The family and close friends then followed the coffin to the burial place and the rest of the village returned to its daily routine. Amongst other things, she pointed out that cremation, especially in the larger towns, was becoming more prevalent but it’s usually some hours after the funeral service itself with normally only family members present. Another custom which was gradually dying out, she added, was wearing mourning, although she was still of the generation that would always wear black for a certain period. "Perhaps for the rest of my life if I can’t marry Juan Antonio," she sobbed. Police in Andalucía have cracked open a fake real estate ring thought to have cheated 200 foreign property investors out of more than €65 million. So far two people have been arrested and 20 others charged with fraud. The network, operating out of offices in Málaga, targeted foreign property investors, many of them British, at real estate fairs and through internet and telephone advertising, offering them the opportunity to invest off-plan in fictitious new developments on the Costa del Sol. To make their activities seem legitimate, the network had obtained land through offshore companies which it then foisted on front companies in Spain at inflated prices. Furthermore, it exploited the fact that the investors were not in Spain to cover up their true intentions. After taking the investors’ money and having them sign apparently official contracts, none of the properties were ever built. Jesús looked even more dejected than usual today. After class, he told us he’d just had it confirmed by his lawyer that there is no possibility whatsoever of recouping any of the money he’d paid to a property developer for the apartment he bought off-plan a year ago in Estepona. With no property to show for all the early-stage payments, he didn’t find any consolation either, he added, in the latest news that at least twenty arrests have already been made in Estepona in a multi-million euro investigation centring on real estate corruption. Termed Operation Astapa, the investigation, Jesús explained, is similar to Marbella’s Operation Malaya which I’ll describe in a later post. Apparently, about two dozen police arrived to shut down the town hall, while in depth searches went ahead and arrests made. Mayor Antonio Barrientos, up to ten councillors and seventeen businessmen face a number of charges ranging from bribery and influence-trafficking to prevarication and money-laundering. In fact, one of the alleged crimes of greatest interest to Jesús was the reclassifying of land to be sold off to developers at below market prices. ‘My apartment block was due to be built on reclassified land,’ he moaned. The group are also said to have taken bribes in return for issuing licences. Mayor Barrientos from the socialist PSOE party was arrested at his home in the Bahía Azul area of Estepona, after which a full scale search of his palatial home was carried out by members of the specialist UDYCO anti-organised crime unit. The mayor took charge of the town in 2003 after making a pact with the now-defunct GIL party, a party set up by the notorious former Marbella mayor, Jesús Gil, who perhaps more than anyone allowed Marbella to become a byword for vulgarity and, yes - corruption. On the way back from yesterday’s intercambio, I stopped off at a bookshop that sells exclusively English language books to browse through its fiction and non-fiction stacks. However, unlike Waterstone’s, Borders and W H Smith's etc in the UK, bookshops here sell relatively obscure titles (presumably for an aging expat clientele. After all, the main English-language newspaper for Andalucia is full of ads for hearing aids, residential homes and funeral plans). What did we talk about in the intercambio yesterday? Apart that is, from the usual stuff about why I'm learning Spanish (to escape from a tiny apartment and even tiner office shared with P) and why they're learning English (to escape from a boring job and/or boring family). So, apart from the theme of escape, what else? Well, Tony Blair for a start. When he wasn't totally engrossed in stroking Pilar's knee under the table, our flamboyant businessman, Alfonso, had surprised me with some of his outbursts. Outbursts that were all the more striking given that they were delivered with the fluency of a near-native English speaker. One concerned the recent presidential election in America. He couldn't understand why, given its hoopla and razzmatazz, the American campaign had all the gravitas of a Rio de Janeiro street carnival. Particularly, he added,compared to the Spanish and British elections. Now Spain has just had an election and, to call it dull, would be to give dullness a bad name. And as for a British election, well we're still waiting for that, aren't we? But it was what Alfonso had to say about Tony Blair that was particularly incisive. Why, he asked, does a man who - more than any other politician of his generation - professes such a strong religious faith and, by extension, the moral high ground, stoop so low in "running after so much money with such empty speeches". Before I could reply, Alfonso cut in to add that, earlier this year, he had been summoned by his company's head office to attend a speech Blair was giving in Barcelona. Because he was extremely busy at work, he hadn't wanted to go and had tried to get a junior to deputise. But no, he was told in no uncertain terms, it behoved him as a senior manager to attend and represent the company. Well, I asked, was it worth it? Alfonso momentarily stopped stroking Pilar's leg - a sign I'd come to realise that meant I now had his undivided attention. 'Why was that?' I asked puzzled. Just returned from our first intercambio or language exchange. In theory, this is supposed to consist of a one-on-one pairing of students of Spanish and English at similar levels for a 15 minute period in one language followed by 15 minutes in the other before exchanging partners and repeating the process until everyone has had, to coin a phrase, equal face time. However, it didn’t work out today quite as smoothly as that for two reasons. Secondly, the different levels of proficiency in English shown by individual Spanish students from the same class was truly remarkable, ranging from basic to the ultra-fluency displayed by one particularly flamboyant married businessman, Alfonso. ‘Casares.’ Interesting, but I didn’t actually ask for your address. ‘Arantxa Lopez Zurutuza.’ Well, at least I know who I’m talking to now. And as for Alfonso, it was his flamboyance rather than his fluency that struck me from the start - when he insisted on kissing every woman entering the room. Eventually, he sat down next to me and a beautiful, married Spanish girl about ten years his junior. Although Pilar and I were already fully engaged in the English part of the exchange, he didn’t hesitate to take over the conduct of the conversation and answer questions on her behalf which she didn’t seem to mind. In fact, seemed to expect, even welcome it. It wasn’t, however, until I noticed his hand skimming her leg under the desk that it became patently obvious it wasn’t just a conversation he was conducting but an affair too - far from the prying eyes of colleagues and family. One of my oldest friends, Chloe, had long ago suggested a girls’ night out so P’s absence this weekend provided the perfect opportunity. Chloe, who lives in Malaga, proposed going to a bistro in the heart of Marbella’s casco antiguo or old town. To get to it, you have to make your way through a hotchpotch of meandering marble-tiled lanes and alleys, miniature orange trees and overflowing wheelie bins lining the high walls on either side. Eventually, after trekking for seemingly ages especially on a cold Saturday evening, you arrive at a small central plaza where, facing a tapas bar and set back within its own enclosed garden, the nondescript hideaway is located. Though tiny, this Belgian-run bistro is extremely popular particularly with fellow Belgians and other ex-pats in no small measure due to its consistently high-quality yet reasonably-priced typically bistro cuisine. Typical, too, is the well-trodden terracotta stone floor and polished wood tables a tad too close together. What distinguishes the interior from other bistros, though, is the quirkiness of its décor. While the ceiling is decorated with odd mauve-coloured swirls and curlicues which snake down the sides of some of the walls, the main wall is covered, top to bottom, with a patchwork of large satin cushions in a palette of vibrant rainbow hues. Chloe and I had just started our main course when guests took their seats at the adjacent table. 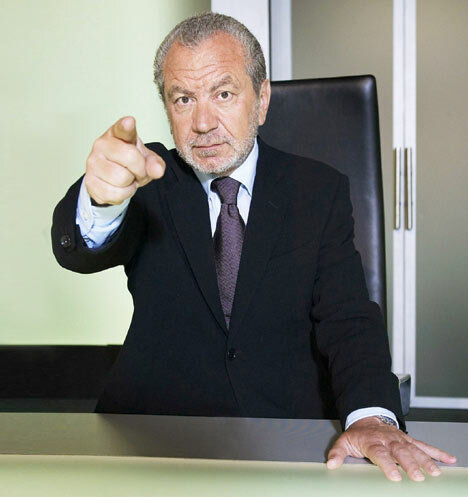 And that’s when I came face to face - just like all those contestants across the boardroom table before me - with Sir Alan Sugar. It wasn’t though Siralan, though, who drew my attention and had me mesmerised for the rest of the evening. That feat was achieved by one of his companions. In addition to two blond ladies d’un certain age, who I assumed to be spouses, there was the most odd-looking person imaginable. Dressed in a powder blue ski jacket with matching scarf double-wrapped around his neck, the ends trailing down his back, he sported on his dome-shaped forehead a matching powder blue baseball cap on top of which was propped a pair of outsize sunglasses. And though the restaurant was very warm - everyone routinely removes scarves and jackets on entry - he steadfastly retained his full regalia - sunglasses included - throughout the evening. Toad of Toad Hall instantly came to mind as I recalled those childhood images of Toad in his open-top motor car tootling along the banks of his riverside home, scarf flying in the breeze, beetle eyes enclosed by huge goggles. I had to avert my gaze for the rest of the meal to keep myself in check. After all, the last thing I wanted to hear directed at me from Siralan’s table were two words - to some the most dreaded sounds in the English language. So, from then on, I continued chatting to Chloe as if I wasn’t aware of Toad sitting diagonally across from me. I did notice, though, that Siralan, like another Eastender I’ve also had the pleasure of sitting next to - Sir Michael Caine years ago at The Canteen restaurant which he then owned - is as lively and voluble in private as in public. In other words, what you see is what you get. Unlike a few other celebrities who sometimes are a tad different from what you expect. Michael Winner, for instance, who though opinionated and assertive in a public forum, is quite the opposite in a restaurant setting. On all the occasions I’ve seen him - whether at The Ivy, The Wolseley or Caprice - he was supremely unobtrusive, the epitome of discretion. Eventually we left the restaurant, half expecting Max Clifford, another Marbellan homeowner, to burst in too. Siralan and Max: now that would be an interesting pairing. As we walked back through the lanes and alleys to the central market underground carpark, I couldn’t help wondering how Siralan would be getting home. We’re so used to seeing him enter and alight from that gleaming black Rolls, the one with undoubtedly the UK’s most recognisable registration plate, that it seemed somehow difficult to visualise AMS Mark 2 parked in my dingy underground carpark or, equally, on one of Marbella’s narrow, windy streets jammed 24/7 with double/triple-parked dented delivery vans. Dressed as he was though in leather bomber jacket and jeans, he’d probably be just as happy in one of its ubiquitous, nondescript white taxi cabs. As I was parking the car on our return - Chloe was spending the night in the apartment - I could see her approach our block when Sra. Noriega unexpectedly emerged from the shadows of her ground floor apartment, Lola at her heels. But how would this ‘vicious, snarling attack hound’ deal with the sudden arrival of a stranger? Lola swiftly approached the stranger, sniffed the air quizzically for a few seconds and then, some half-hearted barks later, rolled over on her side. And those two words that had hung in the air all evening suddenly boomed deafeningly in my ears. As usual ran downstairs to Sra. Noriega's apartment early this morning to collect Lola for her daily run when I first noticed attached to the side of the front door the sign. A large, glossy sign. Of a huge, black rottweiler snarling and barking ferociously, labelled, in outsize font, cuidado con el perro. Now Sra. Noriega's apartment is on the ground floor and she lives alone. (Whenever she and JA meet, it's always at 'his' apartment at Los Monteros.) And I know she feels vulnerable and exposed notwithstanding the high walls enclosing the apartment complex and the thick security gates encasing each individual block. Doubtlessly though she's been advised by her elderly and equally nervous friends to get that sign which you see plastered beside the outside gate of practically every house here - whether or not an animal resides within. Invariably not. It's true Sra. Noriega may now have a sense of extra protection and security behind those reinforced doors and windows of hers. However, as Lola and I turned the corner (I running, she waddling - you get the drift) into yet another deserted street, it occurred to me that if anyone should feel vulnerable and defenceless at that godforsaken early hour, it certainly wasn't her! Such bleak thoughts were abruptly interrupted by my mobile, however. It was P who's been briefly away on business and due back later today. I couldn't wait until then though to tell him my news. About my meeting last night with Siralan and Toad of Toad Hall. Before he rushed off after the last class, Jesús briefly described where our upcoming intercambio de conversación fits in the Grand Plan or plan de educación bilingüe de Andalucía as it’s called here. He explained that thousands of pupils throughout Andalucía (39,000 to be exact) are learning mathematics and other social and natural science subjects through English, French and German, as part of the ambitious bilingual education project introduced in 2005. Since then, a total of 80 primary and secondary schools in Malaga province alone have been participating. The idea is, apparently, to improve the overall level of foreign languages by using these languages to teach other subjects on the curriculum. In primary schools, these include Knowledge of the Environment and another non-language course chosen by the school such as physical education while in secondary schools, the school chooses from Social and Natural Sciences subjects such as mathematics and technology. Many pupils, too, have enough problems in learning the subjects in question in their own language. The qualifications of the teachers involved in the project are also being scrutinized since many of them have only a rudimentary knowledge of the language through which they are teaching! And finally, a problem familiar to those of us in the UK. The case of those successful schools and academies where demand outstrips supply and where a selection system by lottery still arouses enormous controversy. No such qualms here in Andalucía though. Wherever demand outstrips supply, schools simply hold a lottery to decide who’s in and who’s out. Jesús is very preoccupied these days. Which we’ve learned to put down to his wrecked housing plans - and marriage hopes too no doubt. But today he seemed even more distracted than usual, rarely finishing sentences or questions, his words tailing off into the ether, seemingly in hot pursuit of his thoughts. Anyway, during one of his less lucid moments, he asked us if we’d be interested in taking part in an intercambio… At this point, his voice broke off completely as he jumped up and rushed outside with his mobile, vaguely apologizing with flailing arms as he did so. Immediately the whole class perked up, noticeably one or two of the men who started exchanging sly glances with one another. Whilst they’d recognised the "intercambio" bit, none of them - or us - had caught the rest of it though doubtlessly it was precisely the "intercambio" part that had grabbed their attention. Now, whilst intercambio on its own means ‘exchange’, what the two men had understood (or hoped) Jesús’s final muttered words to have been was intercambio de parejas or ‘wife swapping’. Little wonder we’d never before seen these two (singles) look so happy or animated. They could hardly contain themselves until Jesús’s return ten minutes later. He too looked considerably happier, though with Jesús you can never be sure. It could have been something relatively minor like whose turn it was- his or his fiancee’s - to do the shopping this week or something really important like fixing, at long last, their wedding day. Jesús simply doesn’t do self effacement; Jesús does ebullience. But more on that (bilingualism, that is) in my next post. As soon as I mentioned the photos, her face immediately lit up. And she was pouring over every image, recounting every detail as if the wedding had only just taken place. "You know, it’s scandalous what happens in that church in Ronda!" She paused dramatically for effect, pretending to fuss over Lola who was loudly snoring at her feet. "What do you mean?" I asked, unsure where this was leading. "Well, you could book your wedding now and find someone to marry later…"
I wasn’t certain now if she was joking or serious because I’ve known her even take joking seriously. After a long, theatrical sigh, she at last looked up, enjoying every second she was keeping me guessing. "It’s the waiting list! It runs there into years! Allowing herself a sly smile, she continued. "I know at least three couples who changed their minds and ended up marrying someone else! And," she added, as if it were the final straw, "And you are forced to attend weekly pre-matrimonial courses. Every single week until the wedding!" She gave a grim laugh. "And that’s not all," she mused. "The Ronda church is so popular it schedules weddings so tightly on busy days that if the bride arrives a few minutes late, she gets told off by the priest; regular church-goers arriving for Mass stand impatiently by ‘their’ pews and the newlyweds are not only forbidden from hanging about in the aisle after they’ve signed the register but instructed to move away from the church doors before the throwing of rice or rose petals!" "Are all church weddings here as stern as the Ronda one?" I asked. "Oh no, not at all! At some, the din made by all the children playing at the back of the church makes the proceedings impossible to hear anyway!" We carried on chatting a bit longer about wedding receptions and also the fact that here there is no ‘best man’ - and no speeches. It was a topic to which she had clearly given quite a lot of thought recently and, from time to time, a faraway look crept into her eyes and I could see she was picturing herself as she spoke. Suddenly though she got quite agitated and her voice faltered. "You know, wherever the wedding is held in Spain, it’s supposed to bring good luck for the bride to arrive with her father, the ‘padrino’ and for the groom to be accompanied by his mother, the ‘madrina’. But Juan Antonio’s parents are dead as are mine too. Does that mean our marriage is doomed?" I had no answer to that one. Got back from an early morning run today with Lola to find Sra Noriega ushering both of us into her apartment. "You must see these pictures of Juan Antonio," she added conspiratorially, brandishing a huge, red leather photo album displaying outsize photos of Juan Antonio taken at the wedding I’d recently taken her to. Now, the mere mention of the words ‘photo album’ or, horror of horrors, ‘videocam’ usually send me running for cover. However, something in her manner stopped me in my tracks. When I had a chance to look at her face more closely, I could see she’d been weeping. "You know, I’m likely to lose not only that apartment I bought for Juan Antonio but him as well", she said by way of explanation. "As soon as it goes, he’ll go… He knows I can’t afford to buy him another because of the crisis de crédito." "But is it so certain it will be demolished?" I asked. "Look, I love Juan Antonio but he is no Antonio Banderas! The only thing they share is the name…"
Faced with my look of blank incomprehension, she continued, with a faint hint of impatience. "Banderas lives in an illegal property nearby also due for demolition. 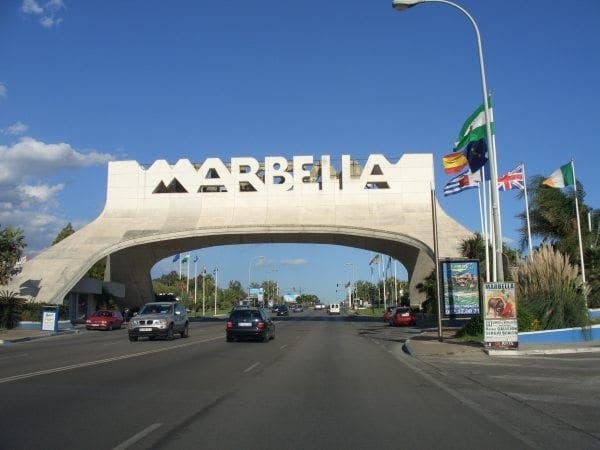 But his won’t be demolished because he is the prodigal son of Marbella. He has a square named after him in Puerto Banús! He has a major role every Easter during Semana Santa as Mayordomo del Trono de la Virgen de las Lágrimas y Favores! He’s just received from King Juan Carlos Spain’s Fine Arts Gold Medal of Merit! He’s now producing a film about Granada and bringing much needed work to the area! They won’t dare pull his home down… Too much bad press. Bad press for Marbella. Bad press for tourism. But as for Juan Antonio’s…"
She stopped to dry her eyes. "You know, back then I was fooled by everyone. By the Registry, the notary, the State, the Junta, the estate agency. Nobody told me there were problems with the property. The headaches began much later when the courts annulled the so-called ‘building permit’ and ordered demolition. But then Angela Munoz was elected, and we thought all our problems were over … but we hadn’t taken into account, you know, the local Property Owners’ Communidad." She was referring to the policy of the recently elected Mayor of Marbella to demolish only unoccupied illegal buildings and to the fact that the Property Owners’ Association of Juan Antonio’s urbanización responded by suing Marbella Town Hall in the Andalusian High Court and winning! And further that, since Marbella Town Hall refused to demolish either the Banderas house (above) or JA’s apartment block in open defiance of the High Court's ruling, the Association was continuing its cruzada, as she put it, regardless. With that, she broke down, starting to sob so loudly even Lola looked up from the rubber toy she’d been trying, with a remarkable lack of success, to decapitate. Sra Noriega eventually pulled herself together and looked so embarrassed that I had to think of something quickly to take her mind off her problems. But what? She loves to talk and she loves weddings (her dearest wish, after all, is to marry JA if her family would only let her). But racism in Spain isn’t just confined to motor racing. England's footballers were subjected to racist chants during a friendly against Spain at Real Madrid's Bernabeu Stadium in 2004. Sections of the Spanish crowd made monkey chants when Ashley Cole, Shaun Wright-Phillips and Jermaine Jenas touched the ball. The same year former Spanish coach Luis Aragones was fined more than £2,000 for making racist remarks about Arsenal player Thierry Henry. Indeed, more than one commentator has asked himself if Spain’s geographical position isn’t perhaps a major contributor to its insularity - and an explanation for its racism and, admittedly, less pronounced homophobia. And now the usually discreet Queen Sofia of Spain has added to the dispute in La reina muy de cerca, The Queen Up Close, a biography to mark her 70th birthday that appeared in El Pais last week. In it, she reveals her thoughts not only on the Clintons, Obama, former Prime Minister Aznar and being fed meat by former King Hassan of Morocco (even though he knew she was a vegetarian) but, most controversially of all, gay rights. "I can understand, accept and respect that there are people of other sexual tendencies, but should they be proud to be gay? Should they ride on parade floats and show up at demonstrations? If all of us who aren't gay came out to protest we would cause gridlock," she said in the book, written by Spanish journalist Pilar Urbano. She then proceeded to an even more sensitive area, referring to Spain's recent law to legalize gay marriage, which provoked the fury of the Catholic Church. "If those people want to live together, dress up like bride and groom and marry, they could have a right to do so, or not, depending on the law of their country, but they should not call this marriage, because it isn't," she is quoted. "There are many possible names: social contract, social union". The State Federation of Lesbians, Gays and Transsexuals immediately asked the Queen to withdraw her comments. "Many mothers of gays and lesbians are going to ask why the Queen understands that the Prince (Felipe) would marry a divorced woman (Letizia Ortiz), but she can't understand why other mothers wouldn't want that same happiness of marriage for their children," said the federation president, Antonio Poveda, who called her comments "a tremendous surprise". Sofia is known for her discretion, having seldom expressed herself publicly - let alone controversially - since arriving in Spain 46 years ago. Returned to the throne by Franco, the Spanish monarchy generally enjoys strong support from the Spanish for its role in the transition to democracy. The favourable opinion stems in some measure from the pact of neutrality by which the monarchs do not take sides in national politics – allowing all parties to believe royalty on their side. This, however, didn’t prevent her from commenting on former Prime Minister Jose Maria Aznar, who was said to have a difficult relationship with the monarchs. "He wasn't unpleasant with us," she said. "Perhaps something about his demeanour, his serious expression, didn't help him?" By contrast, both she and her husband, King Juan Carlos, "connected very well" with the Clintons. "There was good chemistry very quickly," she noted. However, lately some regional nationalists, especially in Catalonia, have been increasingly vocal in their anti-monarchist sentiment, with some youth activists burning photos of the king and queen, once unthinkable. As soon as I got home, I looked at the Spanish press to see how the event was being handled here. And that’s when I got the second shock of the day: Jesus is far from alone in his views. My attention was immediately drawn to a Spanish website. Called Pincha la Rueda de Hamilton – ‘Burst Hamilton’s Tyre’ – it not only encourages visitors to leave virtual nails on a computer mock-up of the Interlagos racetrack to stop Hamilton becoming world champion on Sunday but is full of racist, personal abuse directed at formula one’s first mixed-race driver. The website suggests that, if enough people take part, placing either nails, pins or, weirdly, porcupines on the track, they will be able to ‘will’ punctures in Hamilton’s car just as voodoo practitioners stick pins in a doll. Among the racist messages left by some of the 27,000-plus visitors to the site, a continuation of the vendetta begun 12 months ago by fans of Fernando Alonso who found himself last season embroiled in a battle against Hamilton for the drivers’ championship, are those dubbing Hamilton a "n*****", "monkey" and "son of a b****". One, calling himself ‘Carillo’, tells Hamilton: "Half-breed, kill yourself in your car." Another from ‘Alberto’ says: "I hope you run over your dad in the first pitstop, Hamilton" while ‘Charly’ writes: "If you don’t get a puncture, then Massa will crash into you". Yet another, referring to Hamilton as a ‘conguito’ ( a type of chocolate sweet with racist overtones) writes: "Conguito, you are going to die". And numerous ‘nails’ have been left out near the finishing line on lap 12. Alonso's ignominious departure at the end of the season so enraged his Spanish fans that, during a pre-season test at Barcelona’s Circuit de Catalunya in February, Hamilton was greeted by racist insults (" a black s***") and Spanish fans with blackened faces wearing Afro wigs and T-shirts embellished with the words "Hamilton’s family". That episode led to the Fédération Internationale de l’Automobile (FIA), the sport’s world governing body, fining the circuit and instituting an anti-racism campaign. The FIA is now likely to raise the issue with the Real Federación Española de Automovilismo, having previously threatened the Spanish motorsport authority with losing the Spanish Grand Prix if it didn’t get to grips with racism. Which it clearly hasn’t. One final note about the website. In addition to the racist comments, it also contains homophobic references ( the Spanish gay community, meanwhile, is still reacting to remarks attributed to it recently by Spain’s Queen Sofia), attacks on Ron Dennis, the McLaren team principal, and Bernie Ecclestone, the Formula One commercial rights holder and, surprisingly, one message of support for Hamilton ("I’ll love you for ever"). Not from a Spanish fan then. As mentioned in an earlier post, I’ve been interested in U.S. politics ever since I lived in LA some years ago. During those 7 years, I avidly followed local as well as national election campaigns. And the current U.S. presidential election is no different. Whilst I lived in the U.S., I took no particular side, leaning neither to the Democrats nor the Republicans. My interest, you understand, was purely impartial, non-partisan. I simply enjoyed and admired the exuberant tour de force that is American campaign politics. None of the polite, muted canvassing usual in British general elections. Instead you get there the full treatment of in-your-face, barnstorming razzmatazz. ‘Cheerleader’ delegates bullishly brandishing billboards marketing their candidate. Raucous muzak deafening all attempts at speech. Thousands of red, white and blue balloons and streamers cascading from on high. Indeed, less than a month ago, the Nerja Chapter of the American Club held an emergency meeting and voted to break away unanimously from the mother ship - the rest of the organisation - and form a new group, the American International Club of Nerja. I must have looked more mystified than I realised since an official immediately launched into the ‘backstory’. Apparently, thirty-four years ago a group of Americans used to meet partly for social reasons but mainly to be able to speak in English. Because they didn’t speak any Spanish, he added without the least hint of irony. The American Club (Costa del Sol), he continued, currently has several hundred members divided into five Chapters covering the area from Sotogrande to Salobreña with still some of its original members, now in their nineties, dating from the Franco era. But why, I was curious to learn, did the Nerja Chapter decide to dissolve all ties with head office now? Over the last couple of years, it seems, one of the American Club’s goals had been to attract more people and to modernise some procedures which had become outdated. The Nerja Chapter made proposals how the website and newsletter could be improved, how the site could include blogs and a RSS feed and all for less money by outsourcing maintenance. We had already had a taste of life on this huge floating gin palace in the Mediterranean when we used to accompany E and other friends for 14 juillet firework celebrations off Cannes and then skirt the coast westwards to St Tropez or eastwards to Monte Carlo and Portofino. Often if time was short, we would all take a helicopter from Nice airport direct to wherever the yacht happened to be moored to ensure a quick getaway. This time, though, E asked P where we were going to spend the Christmas break that year. When P replied we’d intended to fly to Malaysia to escape the worst of the British winter, E immediately offered him the loan of the 130 foot cruiser! Fully crewed, it could pick us up from Langkawi where we had intended to spend Christmas and take us anywhere in South East Asia! We were already familiar with the vessel, having often stayed in one of its double staterooms. This time though we had time to explore further her interior and huge sundeck with its bar and lounge area. And the yacht took us along the Malaysian coast to Thailand where we stopped off at any island along the way that took our fancy. And there’s no shortage of those - Phang Nga Bay alone has 67! And so we lazily cruised the Andaman Sea sailing from Krabi and Ko Phi Phi to the Trang Archipelago and beyond, making the most of the speed boats and wet skis to explore dramatic limestone ‘karsts’ or crags, which rise from the water’s edge and valley floors to sheer vertical heights in excess of 900 meters and the hidden bays - ‘hongs’ - within. Needless to say champagne again flowed like water and we were consulted daily by the chef about meals that would have put any land-based three star Michelin restaurant to shame. For a couple of blissful weeks, we lived in a parallel universe. As far from the mundaneness of life as is humanly possible. Waited on by a crew used to providing the highest standards of service concomitant with a pleasure craft of that class. In short, a universe of extreme wealth, supreme luxury. There’s been a lot of hype in the press recently about Peter Mandelson’s and George Osborne’s sojourn on a Russian billionaire’s yacht in Corfu. And how politicians are too easily bowled over by a freebie holiday. As a result, we have the sleazy spectacle of a Labour Business Secretary and a Tory Shadow Chancellor exchanging insults about who behaved more shabbily on Oleg Deripaska's yacht. As for George Osborne, all he's accused of is trying to find a legal way for Deripaska to donate £50,000 to the Tory party. An amount he'd probably have found down the back of one of the yacht's sofas and which wouldn't have paid for a spin nurse, let alone a spin doctor. Indeed, it’s all too easy to dismiss such behaviour as outright grubby and sordid. Yet should you find yourself in an environment of extreme wealth and utter luxury - an environment to which you are not wholly accustomed - it would take some superhuman willpower not to be wowed. Not to mention seduced. My own brush with the super rich (and quite famous) took place in the heady days of the early nineties when Sloanes and Thatcherite excess went hand in hand. My partner (P) was working as CFO (Chief Financial Officer) for an extremely successful entrepreneur (E) who had set up a large number of companies. Together with the Chairman, P and E formed what came to be known as the Triumvirate running this mini empire stretching across several continents. As was usual in that pre-credit crunch era - when mergers, acquisitions and MBOs (Management Buy Outs) were commonplace - P worked all God’s hours and then some (as colleagues in the U.S. put it) to ensure the company’s continuing profitability. (A source of tension then as now, it has to be said). Nevertheless he was well remunerated and we also found ourselves in private marquees at all the events of the ‘season’ - Chelsea, Henley, Wimbledon, Ascot - plus seats at Glyndebourne, Covent Garden etc. Moreover, since P and E also became close friends in the course of all the frantic, highly charged late-night business activity, E also insisted on showing his gratitude in other ways. Namely the loan of his superb ocean-going yacht (pictured above) that has featured in a number of films including the Bond movie, The Living Daylights. I’ve always taken a great interest in U.S. politics, an interest that was rekindled when I moved to Los Angeles so many years ago. Since then, I’ve kept abreast of mainly LA politics since that was what obsessed local TV stations and other media then. 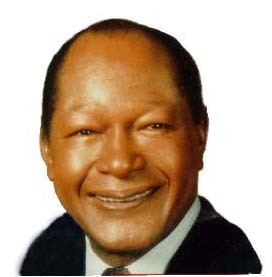 At that time, LA had its first and, to date, only African American mayor, namely Tom Bradley (pictured). A five-term mayor, serving from 1973 to 1993, he held office for 20 years - the longest tenure by any mayor in the city’s history. Indeed, his 1973 election made him only the second African American mayor of a major U.S. city, the first being Carl Stokes of Cleveland, Ohio, elected six years previously. I’ve always felt a sort of affinity for Bradley, who died ten years ago, since we both attended - he much earlier than I - the same LA law school which was one of the few that catered for mature students on a part-time basis, Bradley while still a cop with the LAPD. I also met him by chance as mayor. A friend who knew the Hollywood set had asked me if I would take part in a couple of movies that needed an English ‘accent’ as she put it. I agreed and shooting took place one day near City Hall. There were the usual takes and retakes and filming seemed to go on indefinitely. Whilst I was patiently awaiting my turn, I noticed Tom Bradley leave the Civic Centre complex and walk down Spring Street towards us flanked by minders. As he drew level, he gladhanded all in turn beaming broadly and commending each of us for our performance, ever the consummate politician. I recall he complimented me on my accent, although how he could have heard it I'll never know. He ran, unsuccessfully, for Governor of California in 1982 and 1986 and, having been defeated each time by the Republican, George Deukmejian. The racial dynamics that appeared to underlie his narrow and unexpected loss in 1982 gave rise to the political term ‘the Bradley Effect’ - a tendency of white voters to tell interviewers or pollsters that they are undecided or likely to vote for a black candidate, but then actually vote for his white opponent. Indeed, in 1982, the election was extremely close. Bradley led in the polls going into Election Day, and in the initial hours after the polls closed, some news organizations projected him as the winner. Ultimately though, Bradley lost the election by about 100,000 votes - about 1.2% of the 7.5 million votes cast. A shame as I'm sure he would have made a great Governor and possibly also Presidential candidate. And it is this term, ‘the Bradley Effect’, that resonates now with Obama’s Democratic candidacy. He is considered to have encountered both the Bradley Effect, and a ‘reverse’ Bradley Effect - in which black voters might have been reluctant to declare to pollsters their support for Obama or are underpolled - during the 2008 Democratic presidential primary elections. But more in my next post on my forays among the US expatriate community.